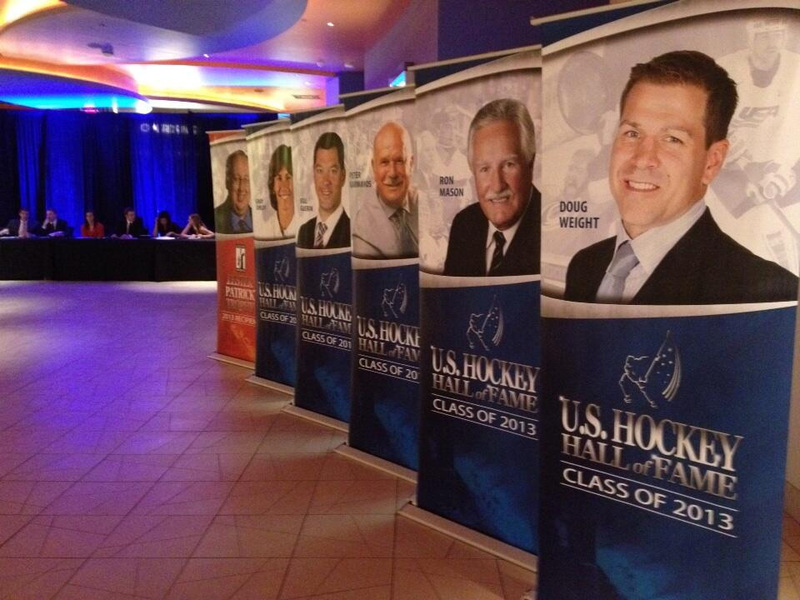 DETROIT -- Things are set up here at the Sound Board Theater at the Motor City Casino for the United States Hockey Hall of Fame induction ceremony. 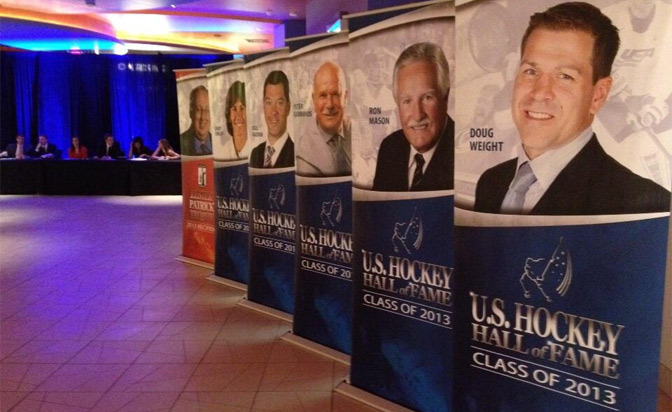 Former NHL stars Bill Guerin and Doug Weight; former Michigan State University men's hockey coach Ron Mason; Carolina Hurricanes owner Peter Karmanos Jr.; and former United States women's hockey star Cindy Curley represent the Class of 2013. Also being honored Monday is long-time NHL writer Kevin Allen, who will receive the Lester Patrick Trophy for contributions to hockey in the United States. For Weight, a Detroit native, it's a special homecoming. "I've certainly seen a lot of friends be inducted in the last couple of years, and I was hopeful," Weight told NHL.com. "It meant a lot. It was an exciting call to make to my family, my father, my mother … I'm tickled pink. It's a great accomplishment for me and I'm very proud of it." Stay tuned to the blog for all the highlights of the ceremonies Monday.